By Carl Slaughter: I didn’t set out to become an interviewer. Or a muse for that matter. Video compilations, never conceived it. I just wanted some feedback about the first 10 chapters of a novel I intended to write. 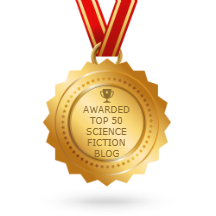 To qualify for that feedback, Critters, the oldest and largest online speculative fiction workshop, required that I provide feedback to other writers. Soon I started getting feedback from those writers about my critiques of their stories: You understand my story and what I’m trying to accomplish with it much more than other critiquers. When Tangent put out a call for reviewers, I used my Critters work to get on as a reviewer. Fellow Critter Frank Dutkiewicz introduced me to Diabolical Plots, which was trying to accomplish the monumental task of reviewing all of Daily Science Fiction’s stories. So I used my Tangent work to get on with Diabolical Plots. I checked out the Diabolical Plots site and discovered that they also do interviews. Mike Resnick was my first interviewee. It was a long interview, covering a lot of territory, and he said he was “very satisfied” with it. I have interviewed him so many times, I have lost count. For years, I have corresponded with Resnick on every conceivable speculative fiction related topic. He seems to know everything about everything and I’ve never known him to be wrong about anything. Well, almost everything. One of my favorite activities is rummaging archives, doing Google searches, and reading Wiki author bios to get caught up on who’s who and what’s what in the speculative fiction community past and present. Resnick is a walking encyclopedia of speculative fiction history and trivia. But I have often been surprised and delighted to uncover information nuggets he did not possess. He not only seems to know everything about everything, he seems to know everybody who is anybody. He put me in contact with many other potential interviewees, most of them household names in sci-fi/fantasy. “Mike Resnick put me in touch with you” seemed to an implied code between me and these other interviewees. I never mentioned his name without snagging an interview. When David Steffen, editor of Diabolical Plots, got distracted with The Submissions Grinder, which became an institution virtually overnight, he introduced me to John DeNardo at SF Signal. 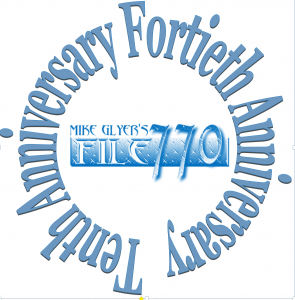 When DeNardo shut down his site, Mike Glyer invited me over to File 770. At SF Signal and File 770, I pioneered author features and series features. 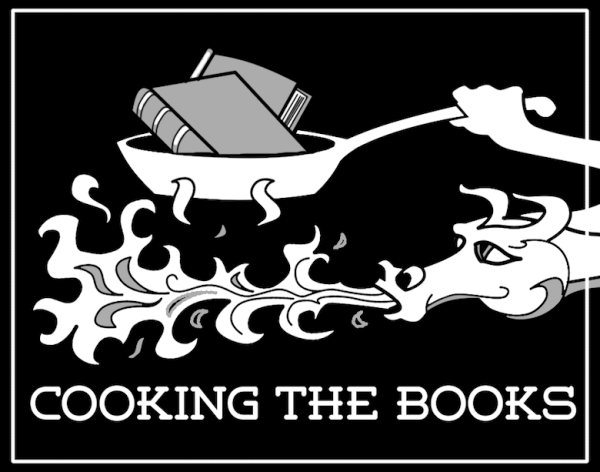 I spent an awful lot of time in Amazon, publishers’ catalogs, and the SFWA’s speakers bureau in search of interesting books and interesting authors. Cat Rambo, Susan Forrest, and Rob Dircks put out the word at SFWA and Tina Connolly and Lawrence Schoen put out the word at Codex. My interviews/features are included in the Critters newsletter. 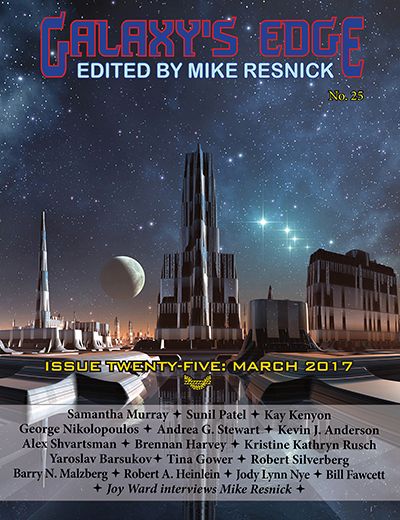 Interviewees have included Michael Swanwick, Connie Willis, Kris Rusch, Dean Wesley Smith, Nancy Kress, James Patrick Kelly, Kevin Anderson, Ken Liu, Ann Leckie, Martha Wells, Todd McCaffrey, Jason Sanford, Jonathan Maberry, Mur Lafferty, Tina Connolly, Brad Torgersen, Lou Anders, Toni Weisskopf, Jeanne Cavelos, and Andrew Burt. Of course, the list includes many new authors. Some of them I met on Critters before they were discovered. Tom Greene, for example, had been writing for 20 years unpublished when he joined Critters. Now he writes regularly for Analog. I have lost count of the SFWA current and former executives, Analog frequent writers, and fellow Critters I’ve interviewed. With the help of Tor publicity director Patty Garcia, I was the first person to interview Chinese author Liu Cixin in English. (Still waiting for that interview with Adam Christopher she promised me.) I corresponded at length with Bishop O’Connell about his “Forgotten” novel. I wrote an 18,000 word critique of Carl Frederick’s manuscript for The Trojan Carousel. I stopped counting the Critters critiques at 200. I stopped counting the interviews at 135. I haven’t even tried to count the video links, but I estimate it’s approaching 500. At Diabolical Plots, it was not unusual to wait 2 months for an interview to be posted. At SF Signal, sometimes 2 weeks. At File 770, turnaround time is as quick as 2 days. 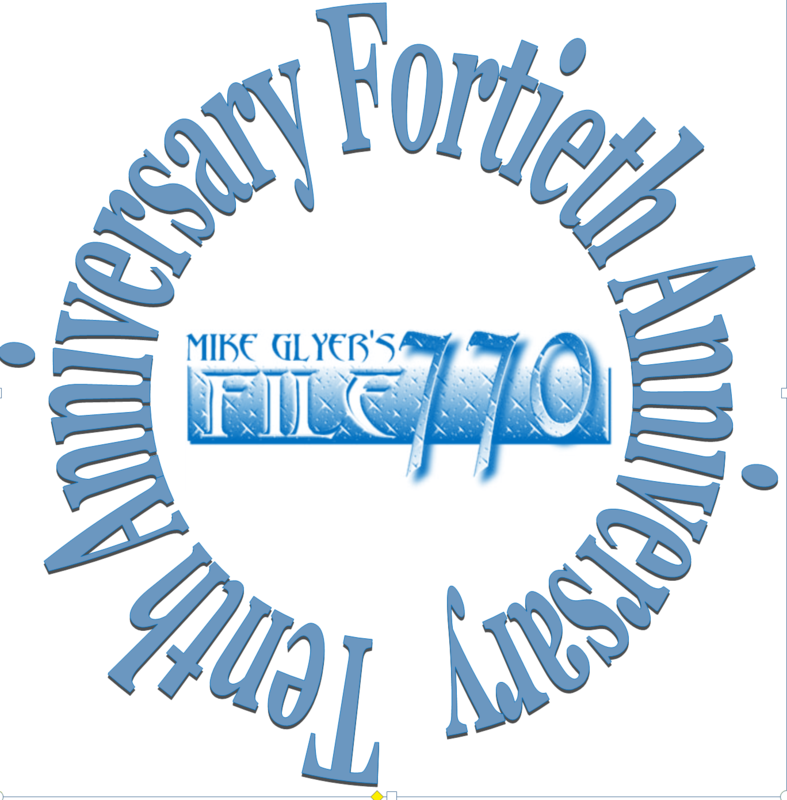 I don’t have to do my own formatting at File 770 and Mike Glyer is much more open about the type and style of content. 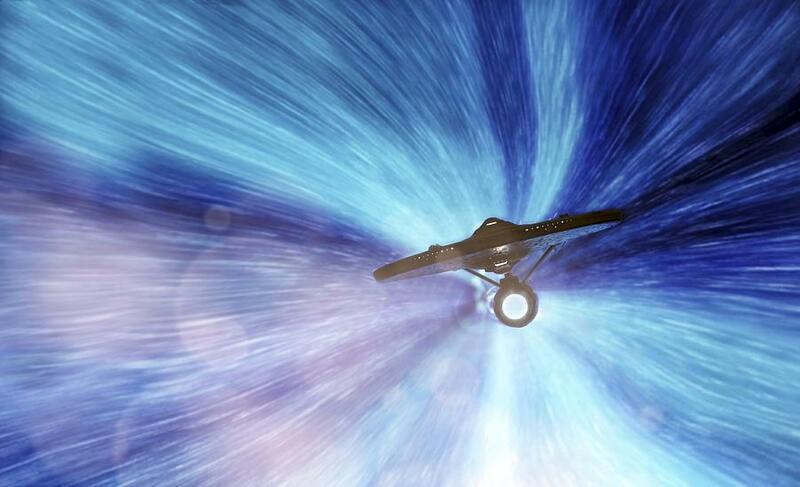 So my productivity immediately shot to warp 9. We’re still working hard to expand and increase book coverage. It’s been a very satisfying ride. But as you can see, I didn’t do it alone. Every time the tank approached empty, one person or another in the speculative fiction community would step in with a refuel. (0) What’s Daniel Dern’s title a reference to? Some commercials that aired before many of you were born. What is troubling is that he (Musk) seems to think of Mars mush as early European explorers viewed Africa and the Americas, as places to be colonised regardless of the consequences. Mars is in a pristine state and experts say it should stay that way if we are to find proof of past or present life there. Plonking a city of 1m humans on it would wreak havoc with such efforts, according to veteran space scientists such as Andrew Coates of University College London, whois working on the ExoMars rover due to launch in 2020. Prof Coates says the big global dust storm on Mars could carry specks of terrestrial matter across the planet that scientists could mistake for evidence of Martian life. He also worries about Mr Musk’s breezy attitude to the brutally cold weather on Mars, where temperatures average minus 63C. (2) THE BREW THAT MADE KENTUCKY FAMOUS. 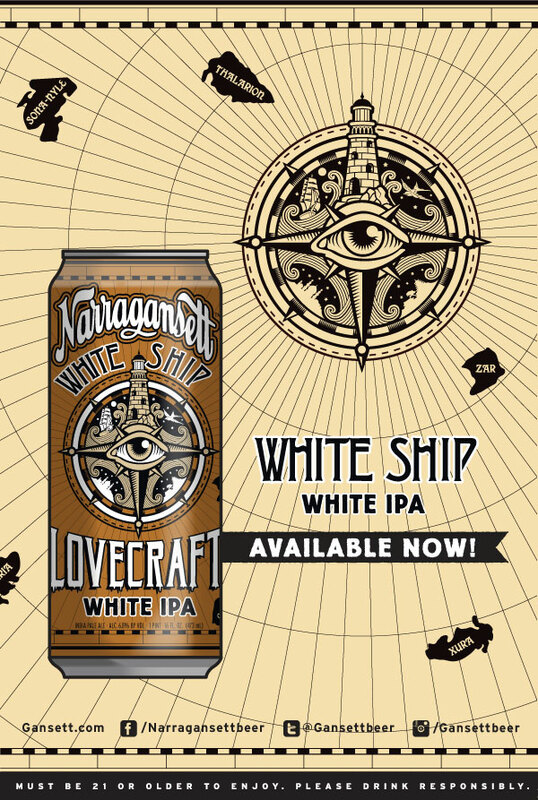 We’ve mentioned Wil Wheaton’s beer before. 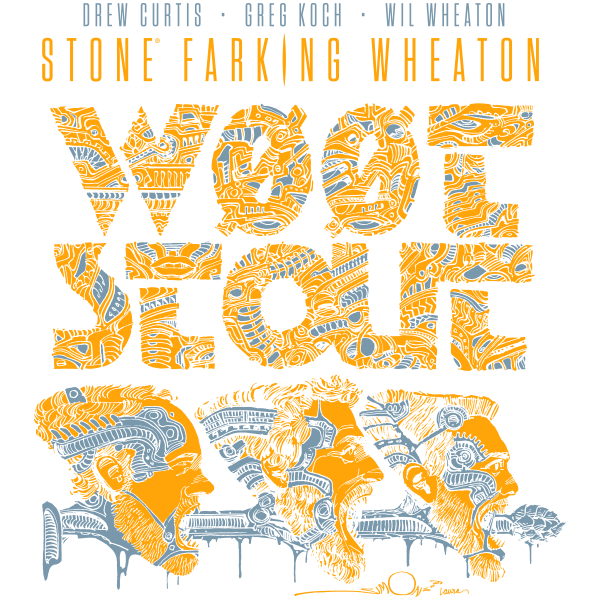 Here’s this year’s edition of “Drew Curtis / Wil Wheaton / Greg Koch Stone Farking Wheaton w00tstout“. It’s been four years since this otherworldly stout burst out of our collective proverbial chests. Four years since the primally viscous first release ooze-snaked across the galaxy. This specialty imperial stout draws its huge flavor from wheat (that’s Wil, natch), pecans and bourbon barrels (two homages to Drew’s home of Kentucky) and Greg’s lifelong quest for pushing the limits of “why the hell not?” to make bigger, bolder beers. The result is a mind-blowing amalgamation of intense yet smooth flavors, perfect for a warm summer evening, a cozy winter’s night or the approaching destruction of the entire human race (be it externally or internally inflicted). For this year’s bottle art, we were thrilled to entrust the task to heralded comic book writer and artist Walt Simonson. He was gracious enough to work with us in exchange for our donation to The Hero Initiative, a charity organization that provides retirement funds for golden-age comic book artists. (3) MARVEL’S LIVESTREAM FROM SDCC. Marvel Entertainment will air the action from their booth at Comic-Con starting Thursday, July 20. Hosted by TWHIP! The Big Marvel Show’s Ryan Penagos and Lorraine Cink, and Marvel Gaming host Jessica Brohard, viewers will be able to watch booth events with their favorite Marvel comic, television and movie talent, hear panel recaps from special guests, and learn about all the fun surprises happening on the convention floor, from exclusive merchandise to special signings. 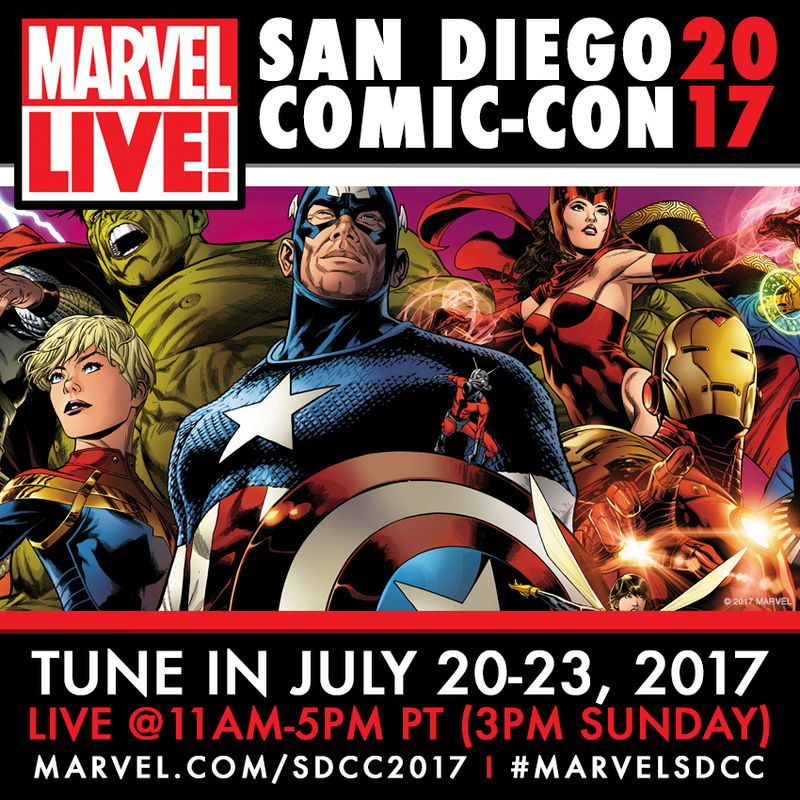 Join in on the fun by visiting www.marvel.com/SDCC2017 or Marvel’s YouTube channel. (4) FROG FURY. The New York Times covers the brawl: “Kermit the Frog Performer and Disney Spar Over an Ugly ‘Muppet’ Firing”. Disney, which acquired the Muppets in 2004 from the Jim Henson Company, painted a wholly different picture, portraying Mr. Whitmire as hostile to co-workers and overly difficult in contract negotiations. Members of the Henson family said they supported the dismissal as well. … Henson’s family, which still runs the Jim Henson Company, chose Mr. Whitmire to replace Henson as Kermit in 1990 after Henson unexpectedly died of pneumonia at the age of 53. Some of those same family members say they supported the decision to replace Mr. Whitmire, though they are no longer involved with the Muppets. “He played brinkmanship very aggressively in contract negotiations,” Lisa Henson, president of the Jim Henson Company, and Jim Henson’s daughter, said in a telephone interview. Ms. Henson said Mr. Whitmire was adamantly opposed to having an understudy for his role, which presented problems when it came to what she called “B-level performances, such as a ribbon-cutting.” She said he was unwilling to appear on some of these occasions but also refused to develop an understudy and that he “blackballed young performers” by refusing to appear on the show with them. Brian Henson, the company’s chairman and Jim Henson’s son, said that while Mr. Whitmire’s Kermit was “sometimes excellent, and always pretty good,” things changed when he was off set. “He’d send emails and letters attacking everyone, attacking the writing and attacking the director,” he said. Whitmire, meanwhile, has continued to characterize himself as indispensable in posts at Muppet Pundit, such as — “The Muppet Performers are not Interchangeable”. The point is that there is so much vital and significant knowledge that was gained by the dwindling few of us who consistently stood next to Jim. From his characters to his methods and philosophies, it’s stuff you can never fully intuit from watching the Muppets. I know that to be true because I, too, was a completely obsessive Muppet fan with preconceived notions of my own that had to be unlearned when Jim hired me in 1978. I approach The Muppets as a lineage tradition. For the inside knowledge-base steeped in its origins to survive and be passed down, there has to be a line of transmission, or you had to be there. For the Post-Jim performers to really understand enough about the Muppets to carry on the lineage they need to continue to be around the core performers Jim mentored as long as any of those people are willing and able to share. None of this is a value judgement of any individual, it is a pointing out of the value of historical perspective so long as that perspective is used progressively. Having had the opportunity to spend the last 27 years cultivating knowledge of Jim along with feeling his presence through Kermit, I find myself at a place where evolving Jim’s vision has begun coming from a deep empathetic connection to him. So, I see my most important task as providing a taste of the atmosphere created by Jim Henson to those Post-Jim core performers who will never otherwise come by it. My hope was to install it directly into their hearts and minds so that they could, in turn, be inspired to do the same for the next generation of performers instead of the characters becoming stale copies of their former selves. But, as I look around at what is presently transpiring it’s clear to me that the job is far from done. (5) NO SH*T! Eliot Peper of Harvard Business Review tells “Why Business Leaders Need to Read More Science Fiction”. Science fiction can help. Maybe you associate it with spaceships and aliens, but science fiction offers more than escapism. By presenting plausible alternative realities, science fiction stories empower us to confront not just what we think but also how we think and why we think it. They reveal how fragile the status quo is, and how malleable the future can be….. In my earliest days as a pro writer, I did everything on typewriter (first manual and then electric; rumors that I chiseled them on stone tablets are just mean). I didn’t have a computer until later and, even when I did, some companies (including DC) were not equipped to receive them electronically. So that meant printing them up on my dot-matrix printer and then rushing them off to FedEx for overnight delivery. Unless you called in your package by a certain time, usually much earlier than you had the work done, you had to take the package to the nearest FedEx office. If you didn’t hit the office by closing time (usually around 6 PM), you had to make the Midnight Run to the main FedEx office out by the largest airport around. More than once, Kim was the driver while I finished collating the pages, stuffing them in the envelope, and addressing the delivery slip. Let me tell you, Speed Racer had nothing on Kim. She’d run stoplights and take stop signs as suggestions to be ignored. Often, we’d meet other local freelancers also making the death defying Midnight Run. It almost got to be a club. July 18, 1986 – Aliens burst into theaters. July 18, 2001 – Jurassic Park III opened. July 18, 2008 — The Dark Knight, the fifth film in the big-screen Batman series, opens in theaters around the United States. Informative, witty, vivid, often compelling, sometimes juvenile, knowledgeable, clear, and written throughout with verve and panache via what feels like a wholly singular voice, Sam Kean’s Caesar’s Last Breath: Decoding the Secrets of the Air Around Us (2017) is what every non-fiction book should aspire to. It’s been a while since I’ve so enjoyed a work of non-fiction so thoroughly and consistently. Kean divides his exploration of air into three large sections, the first dealing with the origin of our current atmosphere, one of many our planet (if not humanity) has seen…. Kean has a vivid and engaging style of writing, with a wry sense of humor, which elevates Caesar’s Last Breath far above most pop science books. Gas molecules are described as feral, oxygen as a madman, our moon as an albatross (as compared to the gnats that circle most other mooned planets), and gravity as “that eternal meddler” that won’t abide two planets in the same neighborhood. I learned about the Big Thwack (when a hypothetical planet called Theia smashed into our earth, vaporizing itself and eventually reforming into our moon), the Oxygen Catastrophe of 2,000,000,000 BC, and the mushroom cloud-shaped cakes baked during the heady days of the late 1940s when nuclear blasts didn’t really seem all that dangerous. (9) INSIDE BASEBALL. Jennifer Brozek shared “10 Things I Learned While I Was A Director-At-Large for SFWA” at the SFWA Blog. 6: Authors, even your favorite author, are only human. Everyone has either heard the story, or experienced it themselves: “I used to love reading AuthorX, but then I met them and discovered they are terrible. I can’t read their work anymore.” Sometimes it is hard to discover your idols are human with human wants, needs, foibles, opinions, habits, and flaws. When you work on SFWA’s Board of Directors, you usually see all the behind-the-scenes stuff. Sometimes, you work with an author/editor on a SFWA project and it doesn’t go as smoothly as you like. Sometimes, it appears as if an author once admired has nothing but scorn for the work you are doing and no desire to help out—just kvetch and complain. Sometimes, authors come to the Board at their worst—financial or medical difficulties, personal conflicts that threaten to spiral out of control, issues with editors, agents, or publishers. They don’t have their “public face” on. They are human. They make mistakes. They can be hurt. They put their pants on one leg at a time. This is one of those learning lessons that really surprised me. I’m not sure why. I just know it did. (10) STARFINDER’S APPENDIX N. Paizo is producing a new science fantasy RPG named Starfinder, and they’ve released an image of the “Inspirational Media” pages from the game. It’s a wide list of old and new SF, not just books but also comics, movies, and games. Few appendices have made as big a splash in gaming history as Gary Gygax’s Appendix N. (I thought Cosmo’s appendix bursting at Gen Con that one year might have it beat, but he reminded me that was technically a gallbladder removal, so it’s OUT OF THE RUNNING!) That formative list of novels hit in 1979, in the AD&D Dungeon Master’s Guide. In it, Gygax laid out some of the works that had made the largest impact on him in the creation of Dungeons & Dragons, from Leigh Brackett and Robert E. Howard to Jack Vance and Andre Norton. In doing so, he created a reading list for an entire generation of gamers and fantasy fans, and had a tremendous impact on the genre as a whole. When we created the Pathfinder RPG Core Rulebook in 2009, we gleefully took the opportunity to publish our own version of Appendix N, keen to introduce fans to our new favorites like Clive Barker and China Miéville, along with grand masters like C. L. Moore. Yet it was ultimately still a fairly small list—just a single column of text—and cribbed heavily from Gygax, focusing solely on novels. When I first sat down to paginate the Starfinder Core Rulebook, I knew that space was going to be at a premium. I had, by some estimates, 800+ pages of content to cram into something even smaller than Pathfinder’s 576 pages. Yet I also knew that just one page of inspirational media wasn’t going to be enough. In order to make a game like Starfinder, we had to stand on the shoulders of innumerable giants, both childhood heroes and our friends and peers. We couldn’t in good faith restrict ourselves to just literature, either. How could you have Starfinder without Star Wars and Alien? 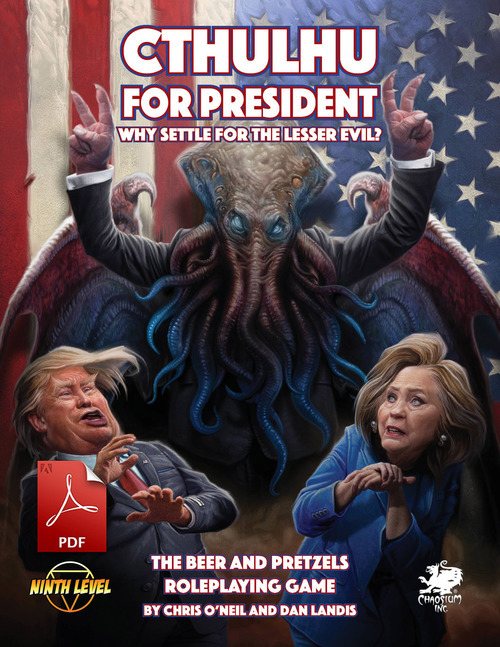 Without Shadowrun and Warhammer 40,000? Without Starcraft and Mass Effect? It just wouldn’t be the same. (11) BIG EARS. BBC News video: “Telescopes to reach nine billion light years away”. South Africa has started to set up radio telescopes far more powerful than any current ones in use around the world, in its pioneering search for extra terrestrial activity. A security robot in Washington DC suffered a watery demise after falling into a fountain by an office building. The stricken robot, made by Knightscope, was spotted by passers-by whose photos of the aftermath quickly went viral on social media. (13) RETURN TO TONE. Ian Leslie’s post “Unfight Club” on Medium contends there is a way to have discussions on Twitter without devolving into flame wars, virtue signalling, etc. etc. If only. Beware the moral surge. The moral surge is the rush of pleasure you get?—?the dopamine hit?—?when you assert your moral integrity in public. A certain kind of columnist lives for it; much of social media is driven by it. Virtue signalling is its outer manifestation, but I’m talking about an inner mechanism. We’re all subject to it, and that’s not a bad thing in itself?—?it makes sense that we should feel good for ‘doing the right thing’ in the eyes of our group. But when you ingest too much of this drug, or get dependent on it, you end up giving your own bad behaviour a pass. When you’re addicted to the moral surge, personal abuse begins to seem like nothing when measured against high principles. ‘Anything I say to or about that person, however nasty or dehumanising, is justified, because they voted for austerity, which murders people,’ (the more apocalyptic your public language, the purer the hit). Letting your tribe see you condemn others feels good?—?so good that it degrades your own moral machinery. Viciousness becomes a virtue. Don’t let this happen to you: recognise your susceptibility to the moral surge, and be wary of it. (14) THE EARLY 21ST CENTURY. Martin Wisse calls The New Weird “The last whites only literary movement in science fiction”. As said, diversity when looked at from that white, middle class male perspective tends to focus on who’s being written about more than on who’s doing the writing. Not that this isn’t important in its own right, but it will still reflect the same limited perspective and no matter how well intentioned, often reducing anybody who isn’t (white, male, middle class) to the exotic. Diversity from this perspective is always from the outside looking in, making it easy to fall into stereotypes, cultural appropriation, orientalism and othering. You get things like making mutants as a metaphor for the Civil Rights struggle and thinking that’s enough, or writing alternate history in which America is conveniently empty when the Europeans land. This sort of diversity is only possible if your audience and peers are the same as you, or you can at least pretend they are. The New Weird happened at arguably the last time that you could still hold up this pretence without immediadely being contradicted by the very same people you’re denying the existence of. Twitter, Youtube and Facebook didn’t exist yet, blogging was in its infancy and existing fannish and science fiction online spaces were still dominated by, well, white middle class men. What made Racefail not just possible but inevitable was that between the New Weird and Racefail the internet became not just mainstream but ubiquitous as both access and ease of access increased; it’s no coincidence that much of Racefail took place on Livejournal, one of the earliest social media sites and one that had long been home to sf fandom. Tools or sites like Twitter or Tumblr have only made it easier for everybody to let their voice be heard, harder to ignore people when they address you directly. It has its advantages and disadvantages, but the upshot is that science fiction can no longer pretend to be just white, middle class or male. (15) LICENSE REVOKED. John C. Wright says “Dr. Who Is Not”. The replacement of male with female is meant to erase femininity. In point of fact, and no matter what anyone thinks or wishes, readers and viewers have a different emotional relationship to female characters as male. This does not mean, obviously, that females cannot be protagonists or cannot be leaders. It means mothers cannot be fathers and queens cannot be kings. It means if you want a female Norse warrior goddess, go get Lady Sif or Valkyrie, and leave Thor alone. It means if you want female Time Lady from Gallifrey, go make a spin off show starring Romana or Susan or The Rani, and leave The Doctor alone. I have been a fan of Dr Who since age seven, when Tom Baker was the Doctor. I have tolerated years of public service announcements in favor of sexual deviance that pepper the show. But this is too much to tolerate. The BBC has finally done what The Master, the Daleks and the Cybermen have failed to do. They killed off the Doctor. Dr. Who is dead to me. (16) ON HIS GAME. So can John shout BINGO! yet? (17) PRO TIPS. Now I’m wondering what anyone would be asking David about File 770 at his site. Maybe, “Why doesn’t Mike pay for material”? The Submission Grinder/Diabolical Plots are not the same thing as File770. Do not send us questions for File770, because we are not them. The Submission Grinder/Diabolical Plots are ALSO not same thing as Submittable. Do not send us questions for them, because we are not them. In general, maybe read the name of the site whose contact form you are sending to before hitting Send. This will save everyone time. Me: Harry Potter can use magic to fix his glasses. 6-year-old: Why doesn't he use magic to fix his eyes? (19) VIDEO OF THE DAY. “A Single Life” is an animated short nominated for an Oscar in 2014 by Job, Joris, and Marieke which asks what happened if you had a 45 RPM record that enabled you to travel through time?